The art gallery is located in the heart of Toruń's Old Town and brings together enthusiasts and collectors of contemporary art. We present the work of both young and recognized artists. We offer stationary and online sale of artworks. As well we organize exhibitions and conduct a drawing and painting course. 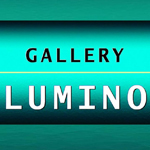 Gallery Lumino provides a wide selection of photographic and original fine art paintings. We also do professional reproductions of Artworks for printing, archival and insurance purposes. 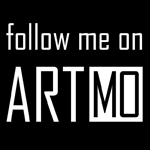 ART MO, an art-online-platform, provides international exposure and support on exhibitions for their featured artists. Since China's rise great art is emerging. Across boarders ART MO introduces contemporary art from China to West and vise versa. Powered by strategic relations with a large network of artists, agents, galleries, art enthusiasts, experts and corporate partners. Go social and have your own ART MO profile. Art Dealer, Impresario. Contemporary surrealism and magical realism. Contemporary art gallery in Bielsko-Biała. The gallery has an exhibition of more than half a thousand paintings. Sells in gallery and mail order. 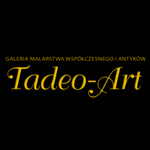 In the gallery you will find the leaders of Polish contemporary painting. 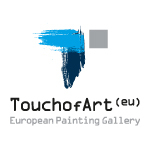 European Painting Gallery "Touch of Art" is an Internet open collection of Polish and European paintings, addressed to both private art collectors and people looking for valuable and decorative pieces of art. Professional photos for advertising and business. Your Heritage Foundation is a nonprofit organization executing tasks and projects for the protection of monuments and finding them new functions, protection of natural heritage, and the realization of artistic projects. 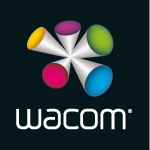 Founded in 1983, Wacom is a global company based in Japan with subsidiaries and affiliate offices around the world to support marketing and distribution in over 150 countries. Wacom’s vision to bring people and technology closer together through natural interface technologies has made it the world’s leading manufacturer of interactive pen tablets and displays as well as of digital styli and solutions for saving and processing digital signatures. The advanced technology of Wacom’s intuitive input devices has been used to create some of the most exciting digital art, films, special effects, fashion and designs around the world and provides business and home users with their leading interface technology to express their personality.